Disney Tourist Blog – Like All Star Music, the greatest strength of All Star Movies is its price point. Touring Plans – At 260 square feet, guest rooms at the All-Star Resorts are very small. They’re so small that a family of four attempting to stay in one room might redefine “family values” by week’s end. Insider – Anyone who has planned a trip to Disney World knows how quickly costs can rack up, especially if you’re going to amazing themed restaurants like the indoor drive-in movie theater. 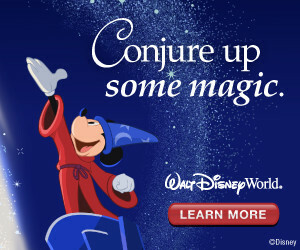 WDW Magic – Guest comments. Adventures in Familyhood – If you’re looking for an affordable and fun place to stay on your next Walt Disney World vacation, book a room (or two) at Disney’s All-Star Movies Resort. All Ears – Fact sheet and FAQs. Disney Tourist Blog – Each of the All Star Resorts has the same basic strengths and weaknesses. WDW Info – The All Star Music Resort is a fun, affordable option for Disney World visitors on a budget. Where else can you walk through a neon-lit jukebox or a giant Broadway theatre marquee? Touring Plans – In terms of layout, architecture, and facilities, All Star Music is similar to Pop Century, the All-Star and Art of Animation Resorts: 3- and 4-story, motel-style Buildings with a central pool, food court, and registration area. Your First Visit – I’ve stayed at Disney’s All-Star Music Resort six times among my 30 stays at Disney World’s value resorts (so far). Your First Visit – (Suites review) With all the deserved hoopla around the newer Family Suites at Art of Animation, Disney World’s original family suites at All-Star Music are still worth considering by any family thinking about suites. Easy WDW – All-Star Music is a Value, the least expensive Disney resort type. All Ears – Resort and room videos. Disney Tourist Blog – Exactly the same general pros and cons of the other All Stars. Touring Plans – Guest rooms at All Star Sports are small at 260 square feet. Almost all All Star Sports rooms sleep 4, plus one child in a crib. Easy WDW – All-Star Sports is officially an Animal Kingdom area resort and is closest to the Animal Kingdom and Disney’s Wide World of Sports Complex, but relatively far from the Magic Kingdom. Diary of a Working Mom – The All-Star Sports takes sports to an extreme, with baseball, tennis, surfing, and basketball themed buildings. Honestly, this was one of the reasons we picked this particular value resort. Disney Tourist Blog – (Suites) Art of Animation is the newest hotel at Walt Disney World, and already one of the most popular. Touring Plans – Opened in May 2012, Disney’s Art of Animation is a Value resort across Hour Glass Lake from Pop Century. Vacation Kids – OK… so asking us which Walt Disney World Resort is our favorite is a bit like asking us which of our kids we love the most. The Bucketlist Narratives – We know that we could stay off-site for less money, but the benefits of being onsite, usually outweighs the money we could save. We’ve stayed at most of the resorts at Walt Disney World, including Value, Moderate, and Deluxe Resorts. Disney Tourist Blog – A good Value Resort choice because it costs less per night than Art of Animation and some rooms are within walking distance of the Art of Animation food court. 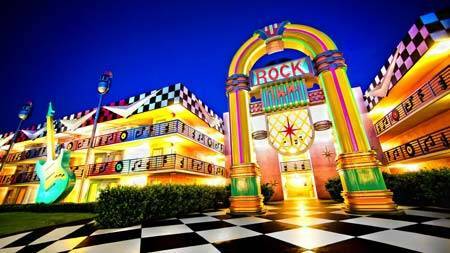 Touring Plans – Pop Century is a near-clone of the All-Star Resorts—that is, four-story, motel-style buildings built around a central pool, food court, and registration area. Decorative touches make the difference. 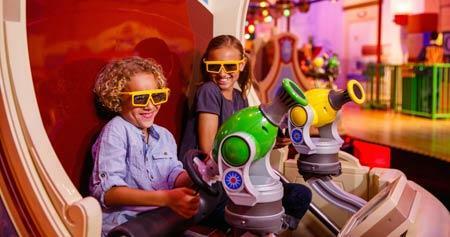 Vacation Kids – Our Vacationkids staff recently stayed at Disney’s Pop Century Resort. Pop Century is located closest to Epcot. Disney’s Art of Animation sits just across the lake and the two resorts are connected by a walking bridge. Disney Tourist Blog – The vibrant, tropical feel of this resort seems to be a bit divisive–it even is among the two of us. Touring Plans – Disney’s Caribbean Beach Resort began a major construction project in May 2017. They are thoroughly redoing the Old Port Royale area and the food court, Shutters restaurant, and the Banana Cabana pool bar will all be closed. DIS Boards – This is a comprehensive review of Disney’s Caribbean Beach Resort. I will give my thoughts about the resort itself and I will review the room. I will also give some recommendations for those who may want to stay at the resort and some suggestions to make your stay better. Disney Tourist Blog – Coronado Springs has the room quality of a Deluxe Resort for the price of a Moderate. Touring Plans – Near Animal Kingdom, Coronado Springs Resort is Disney’s only midpriced convention property. Inspired by northern Mexico and the American Southwest. Traveling Mom – Moderate resorts at Walt Disney World can offer the best of both worlds on a Disney vacation. One moderate Disney resort that family travelers often overlook is Coronado Springs, in part because it is best known for hosting a large convention crowd. Family Travel Magazine – Walt Disney World offers a few moderate resorts that can be great for families. On a recent stay at Walt Disney World, I spent four nights at Disney’s Coronado Springs Resort. Disney Tourist Blog – French Quarter is a romanticized version of New Orleans, and that’s a definite plus. Touring Plans – French Quarter is compact and pleasant, and within walking distance of Riverside effectively doubling the food and pool options. Traveling Mom – If there’s one thing Walt Disney World always gets right, it is theming. And when you arrive at Disney’s Port Orleans Resort – French Quarter – with its cobblestone streets, fountains, wrought-iron railings and jazzy ambiance – you most definitely feel like you’re arriving in the heart of New Orleans. Easy WDW – French Quarter is a Moderate Resort with similar pricing to neighboring Riverside. Unlike Riverside, which offers ten room types, French Quarter offers just five. Your First Visit – French Quarter is also my own personal favorite among the moderates, and it’s inspired a great fan site, PortOrleans.org. Disney Tourist Blog – Riverside has the theming of a Deluxe Resort for the price of a Moderate Resort. Touring Plans – This resort draws on the lifestyle and architecture of Mississippi River communities in antebellum Louisiana. Your First Visit – With more than 2000 rooms sprawling in two different sections around Disney’s (man-made) Sassagoula River, Port Orleans Riverside is probably Disney World’s best-loved moderate resort, and has inspired a great fan site. Disney Tourist Blog – In my early childhood, camping at Fort Wilderness was a yearly tradition. All Things With Purpose – Ever since we got our little vintage camper up and running we’ve been mapping out the places we’d love to take her. I thought it would be fun to camp in Florida and have always wanted to go back to Disney’s Fort Wilderness Campground. Disney Tourist Blog – We recently stayed in a refurbished cabin at Fort Wilderness, which we think is a great option if you have a large party and enjoy the secluded ambiance of the resort. Touring Plans – For those looking for something a little bit different with their Walt Disney World Resort stay, we present the cabins at Fort Wilderness. Easy WDW – We’ll take some time to peruse a refurbished Cabin at Disney’s Fort Wilderness Resort & Campground. While Fort Wilderness is officially recognized as a “Moderate Resort,” the Cabin rates are significantly higher than Standard Rooms at the other Mods. 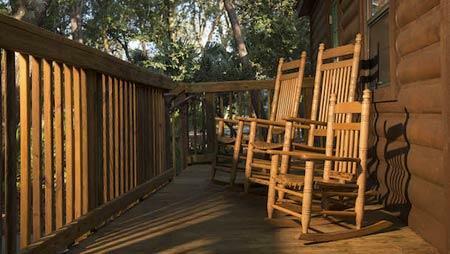 Your First Visit – Disney’s Cabins at Fort Wilderness Resort officially “combine an American Frontier theme with all of the luxuries of home…” and are situated in a resort that is “…a picturesque haven of natural beauty. Wander quiet trails between log-façade buildings like the Meadow Trading Post and Pioneer Hall. Dole Whipped – The ladies of Dole Whipped stayed at the Cabins for a girls weekend. None of us had stayed there since the refurbishment in early 2016 so we thought we’d try them out. Touring Plans – In the far southwest corner of the World and adjacent to Disney’s Animal Kingdom theme park, Animal Kingdom Lodge opened in 2001. My No-Guilt Life – I had the opportunity to stay at Disney’s Animal Kingdom Lodge for the second time. That first time was impressive. It was wonderful and beautiful, but it was brief as we only stayed one night. That’s hardly enough time to get comfortable in your room much less take advantage of all the resort has to offer. The Tomorrow Society – Our most recent trip to Disney World was quite different from our normal vacations to the massive Orlando resort. We’ve typically stayed at an off-site condo because of the better value and added space. For this shorter excursion, it made sense to simplify and just use Disney transportation. Disney Tourist Blog – The lighthearted sister resort to Yacht Club, Beach Club has a lot going for it. The theme is lighthearted, fun, and well-executed. Touring Plans – This five-story Deluxe resort has clapboard facades with whitewashed-wood trim and is painted a bright blue. The Beach Club is embellished with beach scenes in foam green and white. Smart Mouse Travel – On our very first family trip to Disney World in December 2011 we stayed at Disney’s Beach Club Villas. Since then we have made the rounds staying at several Disney World properties, Bay Lake Tower being a favorite. Feeling nostalgic—and paired with a great Annual Passholder discount—we booked a room at Disney’s Beach Club Resort for our last minute weekend trip. Theme Park Insider – There is a place that captures the essence of summer and holds on to it all year long. That would be Disney’s Beach Club Resort. I’m sure that I am not the only one who has ever rode the Friendships between Epcot and Disney’s Hollywood Studios and gazed longingly at the large pirate ship, where squeals of delight were heard. Touring Plans – On Crescent Lake across from the Yacht & Beach Club Resorts, the BoardWalk Inn is another of the Walt Disney World Deluxe resorts. Your First Visit – It’s thin on kid appeal compared to other options, is not as convenient for this site’s itineraries as some alternative resorts, and has limited counter service in general and especially limited breakfast options. I Run For Wine – This was the very first resort I ever stayed in as an adult, back in 2004. 13 years ago, I was not the same Disney fan as I am today but I remember being in awe of the property. Disney Tourist Blog – The Contemporary approaches theming from a minimalist perspective, so it’s a good option for those wanting a respite from the Disney feel of the parks. Touring Plans – This 655-room Deluxe Resort on Bay Lake is unique in that its A-frame design permits the Magic Kingdom monorail to pass through the structure’s cavernous atrium. Easy WDW – The Contemporary has a lot going for it – principally, its location makes it the only walkable resort to and from Magic Kingdom. Anyone that’s ever been at the mercy of waiting for a Disney bus, monorail, boat, etc. knows how important it is to have the freedom to be able to walk the ten minutes back to the Contemporary versus dealing with the hoards exiting Magic Kingdom after something like Happily Ever After. Chocolate & Carrots – This is a top notch hotel. The room was especially great (atrium level on floor 9). There was a beautiful view of the lake and pool below. You could see the sunrise if it wasn’t cloudy and you could see all the way over to downtown Orlando in the distance. Traveling Mom – So many choices when planning a Disney vacation, so little time. Price is generally a deciding factor in many decisions during the planning process. Our Twins TravelingMom and her family recently stayed at Disney’s Contemporary Hotel while on Disney property for a conference. Traveling Mom – Walt Disney World’s Grand Floridian Resort and Spa in Orlando, Florida, is one of the premier luxury destinations for Walt Disney World visitors. Located one monorail stop from Magic Kingdom, it’s difficult to overlook the property’s convenience. Easy WDW – (Club Level) The Grand Floridian is home to two different “levels” of Club Level at two very different price points. On the Disney website, the less expensive version is referred to as “Outer Bldg – Club Level Access” and is located inside the Sugar Loaf building. Disney Tourist Blog – The Poly as it’s known by fans, this resort celebrates tiki culture, meaning that it’s more of a 1970s caricature than an authentic portrayal. Traveling Mom – One of the original and most fabulously themed of Walt Disney World’s Deluxe Resorts in Orlando, Florida, Disney’s Polynesian Village combines all the Tiki goodness of a vintage Hawaiian vacation with the fun of visiting Disney parks. Touring Plans – South Pacific tropics are re-created at this Deluxe resort, which currently consists of two- and three-story Hawaiian “longhouses” situated around the four-story Great Ceremonial House. Rolling With The Magic –Today we are sharing our reviews of the deluxe resorts at Walt Disney World.Like a lot of Disney fans, I dreamed of staying at Disney’s Polynesian Village Resort. We finally splurged on a stay for our 10th wedding anniversary. Your First Visit – In July 2017 Disney’s Wilderness Lodge completed a major refurb. Half of its rooms–those in the southeast wing–were converted into Copper Creek Villas. The old quiet pool was completely redone into the delightful new Boulder Ridge Cove pool. Destination Magic – One of my favorite places in all of Walt Disney World is Disney’s Wilderness Lodge Resort. Situated on the shores of Bay Lake, Wilderness Lodge was inspired by the U.S. National Parks lodges that were built in the early 1900s. The Intentional Mouse – The resort is created to feel like a vast, early 20th Century national park lodge. The resort features quiet walking trails and beautiful “natural” features like a waterfall and geyser. This beautiful resort is nestled on the shore of Bay Lake. Disney Tourist Blog – Yacht Club is the more ‘sophisticated’ sister hotel of the Beach Club, and is more or less the same aside from a slightly more refined theme. Touring Plans – This five-story Deluxe resort has clapboard facades with whitewashed-wood trim. The Yacht Club is painted a subdued gray and has a nautical theme with model ships and antique navigational instruments in public areas. Easy WDW – Since we’ve taken some time to inspect the new Ale & Compass Restaurant and the re-imagined Ale & Compass Lounge inside Disney’s Yacht Club Resort, I thought it would be prudent to take a look inside a refurbished room now that the project is over. Disney Tourist Blog – We have stayed in Jambo House (the main building) of Animal Kingdom Lodge and Kidani Village. Easy WDW – Depending on the day and which way the wind is blowing, my favorite is sometimes Animal Kingdom Lodge (AKL). There’s just so much to see and do there – from the savanna viewing, to the fantastic restaurants and lounges, to the exquisitely detailed public spaces, there’s nothing else quite like it. The Frugal South – Our family’s favorite place to stay at Walt Disney World is Animal Kingdom Lodge, hands-down. There is SO much we love about it, which I will share in detail below. But what first-time visitors usually don’t know is that Animal Kingdom Lodge is actually made up of two distinct properties – Jambo House and Kidani Village. Disney Tourist Blog – Very similar to Jambo House above, but with some slight differences in location and amenities. Rolling With the Magic – Today we are sharing our reviews of the deluxe villa resorts at Walt Disney World. Disney’s Animal Kingdom Lodge – Kidani Village is a beautiful, unique resort. Dad’s Guide To WDW – Like the Animal Kingdom Lodge, the villas have their own African Savanna that you can look out on, right from your room. Most of the villas have a Savanna view. Wake up with a giraffe in your window, it could happen (Kidani & Jambo House). Disney Tourist Blog – The Disney Vacation Club wing of the Contemporary, this is the closest resort to any theme park at Walt Disney World. Your First Visit – Most (but not all) room options at Bay Lake Tower at Disney’s Contemporary Resort (a Disney Vacation Club resort) are wonderful places for returning visitors to Walt Disney World to stay. Disney Tourist Blog – The Disney Vacation Club wing of Wilderness Lodge, Boulder Ridge Villas are a popular choice for Disney fans, particularly at Christmas. Touring Plans – The 136 villas are studio and one- and two-bedroom units in a freestanding building to the right of the lodge. Studios offer kitchenettes; one- and two- bedroom villas come with full kitchens. The lodge’s rustic decor extends to the villas, which can be booked by non-DVC members as space allows. Easy WDW – The names are kind of confusing as Wilderness Lodge already offered Disney Vacation Club rooms in a separate building, which is now known as the Boulder Ridge Villas. The Copper Creek Villas are located on the check-in/concierge desk side in the main building and then the Copper Creek Cabins are located outside on the water. Disney Tourist Blog – We just stayed at the Beach Club Villas a couple months ago for the first time since its top-to-bottom room refurbishment was completed. The Frugal South – I lucked out and grabbed a last minute one-night reservation at Disney’s Beach Club Villas. I was visiting Walt Disney World with my daughter and to soak up the holiday spirit and review the Art of Animation Resort but I couldn’t resist a quick stay at the Beach Club! Theme Park Tourist – The genius of Beach Club Villas is that Disney has created a beachfront area in a land-locked city in the middle of the state. The moment you reach the resort, you’ll forget that everything is man-made. It has all the look and feel of a waterfront destination despite its proximity to Epcot. Touring Plans – Across from the Yacht & Beach Club Resorts, the BoardWalk Inn is another of the Walt Disney World Deluxe resorts. The complex is a detailed replica of an early-20th-century Atlantic coast BoardWalk. Facades of hotels, diners, and shops create an inviting and exciting waterfront skyline. Theme Park Tourist – You know the song, and you understand what it represents. Boardwalks were once an unmistakable part of a visit to the beach. 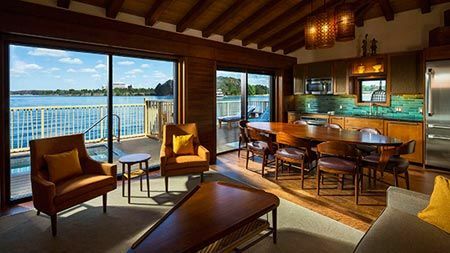 Disney honors that legacy with Disney’s Boardwalk Villas, one of the most unique properties in the Disney Vacation Club lineup. Here are six reasons why you must stay at this hotel. Mouse For Less – Disney’s Boardwalk Villas is at the heart of Walt Disney World, between Epcot and the Disney’s Hollywood Studios, on the promenade along Crescent Lake. This Disney Deluxe Villa Resort, while primarily a Disney Vacation Club property, is available for booking directly through Walt Disney World as well, at nightly rates. Touring Plans – Wilderness Lodge resort is inspired by national-park lodges of the early 20th century. The Copper Creek, along with Wilderness Lodge and Boulder Ridge, ranks with Animal Kingdom Lodge as one of the most impressively themed and meticulously detailed Disney resorts. Smart Mouse Travel – Copper Creek Villas and Cabins at Disney’s Wilderness Resort has a great outdoorsy vibe and looks like a huge log cabin. The immense open air lobby has intricately carved totem poles and a fireplace 82 feet (25 meters) high. This fireplace immediately made me think of Mary Coulter’s geological fireplace from our trip to the Grand Canyon. 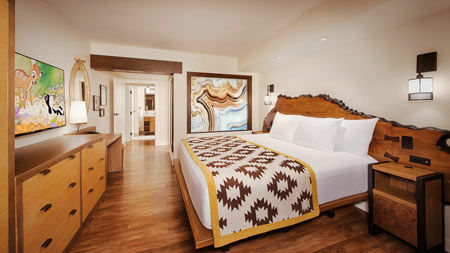 Your First Visit – Opened in July 2017, it adds studios and many multi-bedroom options to the Vacation Club inventory (all available to anyone to book, just like regular rooms) that already existed here in the former villas, now re-named Boulder Ridge. Disney Tourist Blog – Since our first stay here last year, the Villas at Grand Floridian have quickly won our hearts. Easy WDW – The Villas are all located in the same building with a dedicated lobby and check-in area on the ground floor. A cast member in a suit and tie will welcome you and walk you over to the adjacent check-in area, where you can sit down in comfortable chairs as cast go over your welcome packet and answer any questions you might have. Touring Plans – This Disney Deluxe Villa property opened in fall 2013. Reader surveys rated it the best Walt Disney World resort in 2016, the only resort to receive an overall A rating. 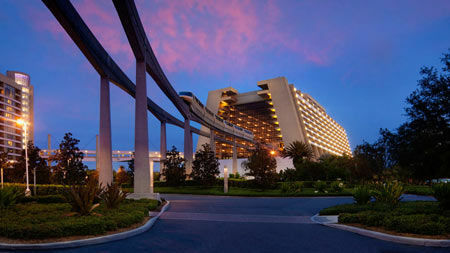 The 200-room T-shaped building sits with the main hotel along the shore of Seven Seas Lagoon. Disney Tourist Blog – Old Key West is the original Disney Vacation Club resort, and that was actually its name when it first opened. Touring Plans – Old Key West Resort is a large aggregation of two- to three-story buildings modeled after Caribbean-style residences and guesthouses of the Florida Keys. Set subdivision-style around a golf course and along Bonnet Creek, the buildings are arranged in small, neighborhood-like clusters. Wandering In Disney – Old Key West is a Disney Vacation Club Hotel in Walt Disney World’s Disney Springs area. As far as categories go, the resort would be considered a deluxe villa. Being one of the first DVC resorts ever build, Old Key West is often one of the cheapest deluxe villas offered to guests booking hotels. The Frugal South – The Polynesian received a major upgrade in 2015 with a redesign of the lobby, upgrades to the pools and dining, and addition of the DVC villas and bungalows. Traveling Mom – Ohana means family and Disney’s Polynesian Villas definitely make a family feel welcome. Although the villas are part of Disney’s Vacation Club, you can still book these rooms directly through Disney. Disney Tourist Blog – Saratoga Springs is another resort that was constructed as a Disney Vacation Club resort, meaning that it’s built with villas in mind. Disney Mamas – When visiting Walt Disney World the right accommodations are often key to your overall vacation enjoyment. As Disney Vacation Club members we have grown to love Disney’s Saratoga Springs Resort and Spa for it’s accommodations, amenities and proximity to Disney Springs. Dad’s Guide To WDW – Saratoga Springs Resort is another in the line of cookie cutter Disney Vacation Club Resorts. It’s located across the Sassagoula from Disney Springs which makes it real convenient to grab a bite or do some shopping. One of the very unique additions to the resort is the Treehouse Villas which opened in 2009. Mouse Ears Mom – Disney’s newly designed Treehouse Villas opened at Disney’s Saratoga Springs Resort & Spa in 2009. The Treehouse Villa’s floor plan is fantastic. There are three bedrooms, two beautiful bathrooms and a large open-plan living/dining/kitchen area. Touring Plans – (Swan) Although these resorts are inside the World and Disney handles their reservations, they’re owned by Sheraton (Dolphin) and Westin (Swan) and can be booked directly through their parent companies, too. Touring Plans – (Dolphin) Both are served by Disney transportation to the theme parks and participate in Extra Magic Hours and FastPass+, but neither offers Disney’s Magical Express bus service to and from the airport or participates in the Disney Dining Plan..
DFB Video: Exclusive Snacks at Disney’s Hollywood Studios! REVIEW: ‘Mary Poppins Returns’ comes home but is this release practically perfect? As TV Turns Digital, Ad Tech M&A May Get Second Wind – Could Disney be a Buyer? Previews of the new Avengers: Endgame Pop! Vinyls including Retailer Exclusives! What Disney World Restaurants are Considered 2 Dining Credits? Take Some Time to Dine with Hanna!